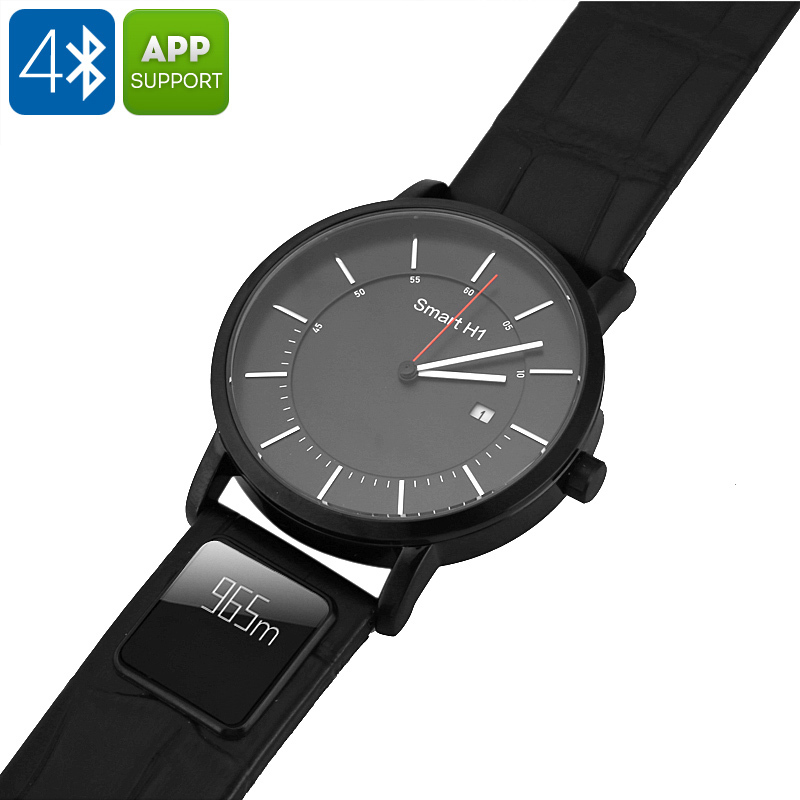 Successfully Added H1 Smart Sports Watch - Bluetooth 4.0, App, Text And Call Reminder, Pedometer, Calories Burned, Distance Tracker, Leather Straps to your Shopping Cart. The H1 Smart Sports Watch is a beautiful fitness tracker that supports you in meeting your daily exercise needs. Thanks to its sedentary reminder, you’ll never miss out on a workout session again. Your Bluetooth watch comes with a pedometer that keeps accurate track of the distance you cover each day. Additionally, it counts the steps you take and calories you have burned. When used with the dedicated mobile application, it will provide you with a detailed overview of all your latest activities. This will motivate you to keep on moving and meet those future fitness goals. When synchronized with your iOS or Android phone through Bluetooth, this smart watch delivers call and message reminders. Thanks to this, you’ll always be aware when somebody is trying to contact you even when you do not have your smartphone at hand. This means that you’ll never miss out on an important call or SMS again. The watch itself features a stylish design and comes with a removable leather strap. Within its strap, your watch holds a second miniature digital display on which it displays the time, date, and more. With its 30mAh battery, your smart watch can last for up to 7 days on one charge. Thanks to its beautiful look, your watch can be work with confidence at any occasion. It is furthermore life-waterproof. This means that you won’t have to worry about it accidentally getting wet in everyday activities. The H1 Smart Sports Watch comes with a 12 months warranty, brought to you by the leader in electronic devices as well as wholesale Bluetooth watches..